You came to the right place! 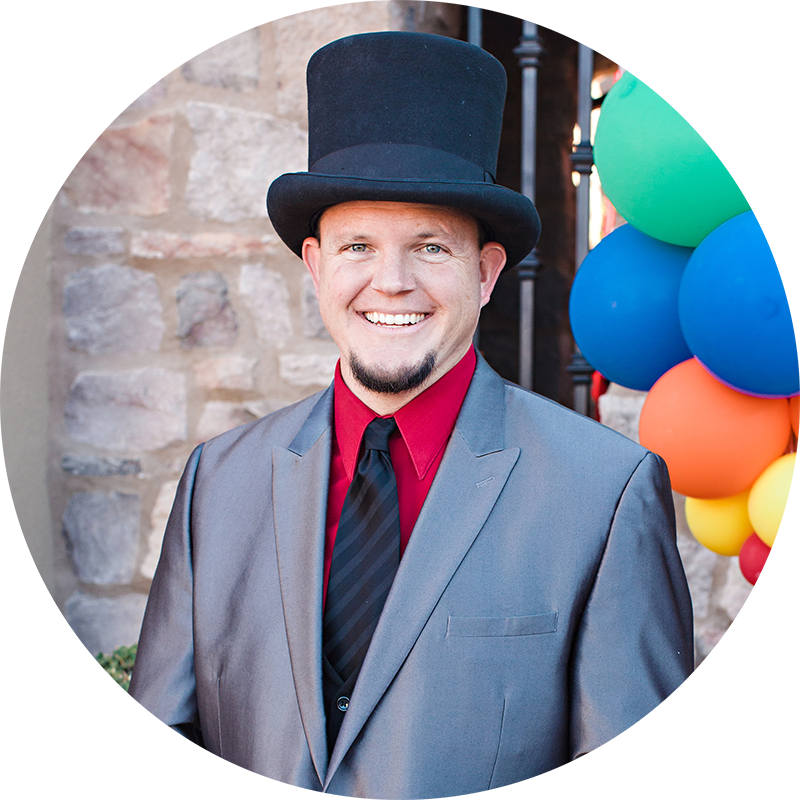 Phoenix Based Birthday Party Magician, John Fitzsimmons, offers shows that are GUARANTEED to create positive memories that will last a lifetime, or your money back. With over 20 years as a Birthday Party Specialist you will feel safe knowing that your full time magician performs hundreds of shows each year. Get that camera ready because you will want to capture all of those laughs, smiles, and looks of wonder during this colorful and highly interactive magic show. Your child will be the star, as they come up on stage and help make an impossible magic treat that they will share with all of their friends. Next they will be transformed into “The World’s Largest Balloon Animal” and last they will be given a true gift of magic that will be treasured for a very long time, making YOU their hero! John Fitzsimmons has over 20 years of experience performing magic shows at hundreds of birthday parties throughout the valley of the sun. He has also performed at countless family events, schools, local mall kid’s club programs and many Radio Disney Events. Currently he is the official magician of the Children’s Museum of Phoenix. John has also worked for the Phoenix Suns, Phoenix Mercury, Arizona Diamondbacks, Arizona Rattlers, the Arizona Cardinals, and he has appeared on every major TV network in the nation. Watch The Short Video Below For Package Details! You LOVE my show or it’s FREE. We both know you don’t want your money back. 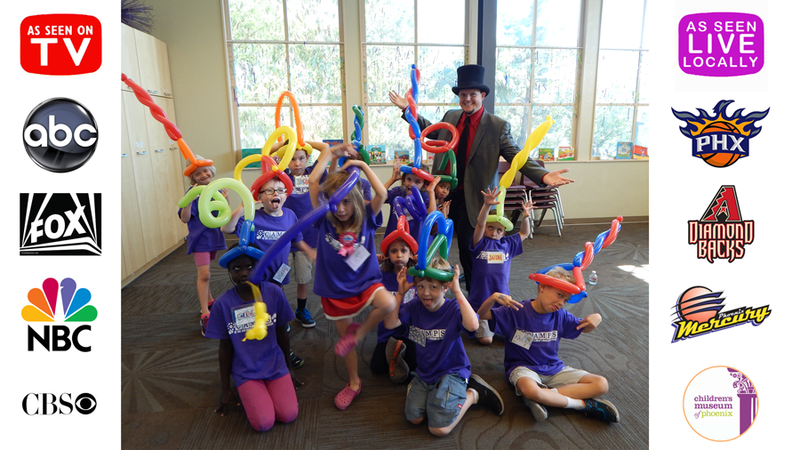 You want a hilarious birthday party magic show that your child and guests will never forget! I’m confident that you will be so happy and entertained by my show that I will gladly give you your money back if you are not 100% satisfied with my services. ...John captured the full attention of the audience (children AND parents) right from the get-go. His jokes were audience-appropriate, and some moms were the loudest laughers..."
"Thanks for being such a great magician at the Gala! The Kids (and adults!) loved you. The costume was wonderful too. I enjoyed meeting you as did my boys. I’m sure I’ll be calling you to make another appearance soon. Thanks again for the great job!"